The world’s best yachtsmen are already 11 days into the legendary Vendée Globe, a solo round-the-world sea voyage lasting over three months. 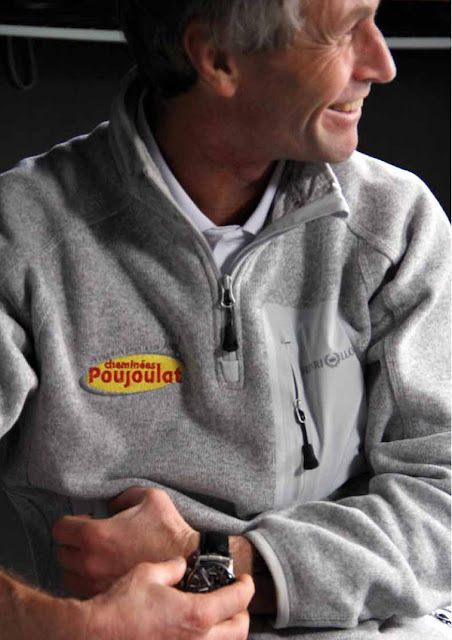 Amongst the hardy contenders is Swiss skipper Bernard Stamm, of whom Parmigiani Fleurier has long been a supporter. The construction of Bernard Stamm’s 60-foot monohull started over three years ago in the hangars of Décision SA, a company based in Vaud with links to the Lausanne Federal Institute of Technology. Stamm, a strategist and technician as well as an accomplished sailor, was involved in every stage of his craft’s construction, deciding the priorities and compromises which will shape his race. In the eternal dilemma of weight versus resistance it can be hard to find a happy medium: a heavy boat offering a lot of resistance is sure to finish the race, but will never win it. One must therefore take calculated risks, and decide to accept a certain level of discomfort whilst remaining on the right side of the limits. Faced with these kinds of decisions, Bernard Stamm relies on both his seafaring experience and knowledge as a yacht builder. Hoping that this adventure can also benefit scientific knowledge of the ocean, Bernard Stamm will have with him a ‘mini lab’, a highly sophisticated device which will gather hourly information on the temperature, salinity and oxygenation of the water, as well as its concentration in plankton. It will be possible to follow the race in its entirety thanks to cutting edge, high-tech equipment, specially designed to share information. Cameras and sensors are fitted to the skippers’ boats, allowing real-time transmission of their life on board; a highly accurate monitoring system will be able to give the position of each of 20 participants at any time. This will relieve, but not altogether banish, the solitude of each skipper braving this 3-month race, confronting both the ocean and themselves. The Vendée Globe is, above all, an immense human challenge. Accompanying Bernard Stamm on this adventure, a ‘chameleon’ watch was specially developed. The Transforma Rivages is an automatic chronograph which can be transformed into a wristwatch, pocket watch or on-board instrument. In other words, it’s a timepiece capable of supporting a solo yachtsman in every extreme situation. On the wrist, the Transforma Rivages is light and comfortable for ease of movement. 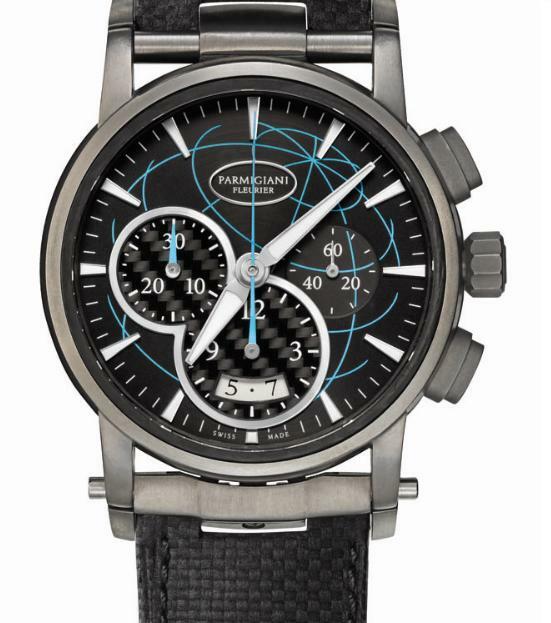 The watch is made from titanium and carbon for lightness and durability. The Tonda collection, with its classic round shape and ergonomic curved lugs, could be adapted in many different ways for various uses. Like a jaw gripping and clamping the main body of the watch, the titanium hood is released by simply pressing the two side push-pieces positioned on the two lower lugs. The main carbon fibre element machined directly from the same material as the Rivages monohull – sits perfectly in the support of the steel fob watch. Its asymmetric shape enables the wearer to access the chronograph push-pieces and the crown, even when the bezel is enclosed. Fitted with a steel chain, the Transforma Rivages is transformed into a pocket watch. Inside the monohull, every detail is finely tuned. Nothing should hinder navigation. In collaboration with the shipyard Décision SA, the receptacle case of the Transforma Rivages has been carefully integrated into the dashboard. Fixed in place, this device unlocks to incorporate the watchhead, made of carbon. Once set up on the dashboard, the Transforma Rivages’ self-winding system starts automatically. The look of the chronograph’s dial takes its inspiration from the Rivages yacht: the counters are made from carbon and the hands, along with the dial’s design of a stylised world map, are the same ‘Rivages blue’ as the monohull’s logo. Produced exclusively in the workshops of the Parmigiani Fleurier manufactures, the Transforma Rivages comes on a leather strap with a carbon-like appearance.